By Daniella Walsh | LB Indy. The object in its white purity looks as if it has been swept up by the ocean and deposited in the shallow surf, and there it lays, looking like a mysterious sea creature, impervious to the waves washing over it. On close inspection, the object is an intricate form resembling a lace collar carved from marble, deposited there by a human hand. A wall-sized photograph of this unusual installation introduces viewers to the art of Elizabeth Turk, a 2010 recipient of a McArthur Foundation genius award who has now scored a solo show at the Laguna Art Museum. Titled “Elizabeth Turk: Sentient Forms,” the exhibition curated by Grace Kook-Anderson underpins the museum’s Art & Nature festival and symposium (see side bar), but will run through Jan. 25. Not quite a retrospective, since there are no examples of Turk’s early Wing series, the show occupies three main floor galleries, focusing on her acclaimed collar and cage series as well as multi-media works including drawing, x-ray photographs and installations, including one large floor one replicating undulating waves in wood and shoji screen paper and illuminated by LED lights. It hosts three cage-like forms carved from dark brown marble scattered across, with one cage affixed to a rock. In an abstracted sense, the installation plays to her practice of placing her sculptures into real environments such as the waves beneath the Huntington Beach pier or the koi pond at Fashion Island. Turk describes immersing the pristine carvings into the environment as part of her artistic process. “Placed into the environment, the pieces become something else, proving their strength and also their vulnerability and that potentially nothing is ever permanent,” she said. Turk, who also received the 2012 Arts Orange County Cultural Legacy Award, divides her time between a Santa Ana studio and homes in Newport Beach, Atlanta and New York. Though she is primarily known as a sculptor, the show illustrates that she draws as proficiently as she sculpts. “For me drawing is the beginning of everything, finding essential shapes and linking them into a larger form,” she explains. X-ray photographs of sea shells described as x-ray mandalas are also fairly new ventures. Stunning in its simplicity, the x-ray of a nautilus shell suggests the beginning of all life. “The series addresses the gorgeous mathematics of nature, which I perceive not scientifically but intuitively. It is an investigation, a dialogue between human materiality and nature,” said Turk. As if to further illustrate her thought processes, she has turned the third gallery into a what resembles an alchemist’s den, filled with drawings which have presaged sculptures, collages, and a tiny sea urchin shell under a two-lens microscope that she had kept since growing up in Corona del Mar. “That little urchin is symbolic in many ways. Because of its holes, it does not easily break and that I find adaptive to my work. By not being solid, it has greater strength,” she said. Strength has been put to the test in the carving of a rectangular block that is displayed both in its solid entirety and as a finished creation of intersecting ribbons and loops. Many will wonder how she accomplishes the feat. “The first 10 minutes are crucial; figuring out a line that can be a supporting structure. Then I can get lost in its surroundings, while the piece is still attached to a supporting structure. As the line gets refined or loops away from itself into connected areas, that’s the serious point and yes, it’s my nature to sometimes go too far,” she said. Although the uncut block is pristine, she explained that she does draw lines on the exterior surfaces with inner cuts following an intuitive path. “Taking out the inner path is one thing, but deciding where to cut connections is where you deal with gravity. It’s somewhat like cutting a chain link fence,” she said. 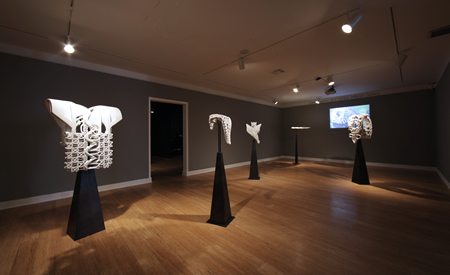 The second gallery holds six examples of her collars series. They range from massive, such as one that resembles a line-backer’s protective pads inspired by Japanese samurai, to delicately laced creations easily transposed visually onto couture of an earlier era. But, here too she has taken a different tack. Rather than lacy and delicate, the collars have become replicas of neck ruffs seen in Dutch and Flemish paintings. “I made these to celebrate Rembrandt’s 400th birthday and to pay homage to the fact that the mercantile class in the Netherlands had joined if not replaced royalty and clergy as supporters and commissioners of art,” she said. At last thought one might ponder whether that wealth of creativity might have sprung from that little sea urchin shell. “There were so many of them, we never thought anything about taking them home. Today that’s inconceivable,” she said. Keynote address by Terry Gifford: “John Muir: Transatlantic Influences.” 7 p.m. 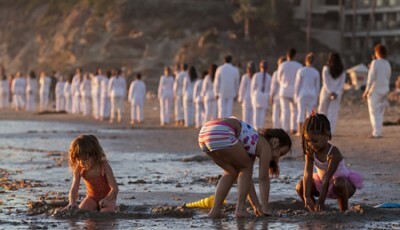 Reception, 6 p.m.
Lita Albuquerque’s site specific performance on Main Beach and the museum. 3:30-8 p.m. Free. Film screening “Mana.” Ten California artists with one love for the ocean. 10 a.m.
Panel discussion “Nature into Art” with Terry Gifford, Andy Moses, James Nisbet, Geoff Shester and Elizabeth Turk. 1:30 p.m.
Matt Quilter: Surf’s Way Up. Our Surf Music Heritage. 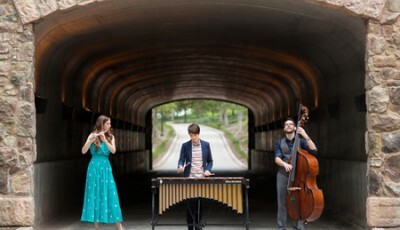 Music and history presented by Quilter & his band. 8 p.m.